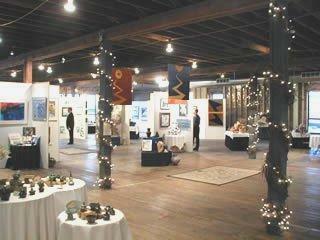 Art in the Loft is Northeast Michigan’s premiere arts center and gallery. Our mission is to enrich the quality of life in Northeast Michigan through an arts center that offers learning opportunities and increases public participation in the arts. Each season is filled with special events, activities, exhibits and workshops The Loft hosts an array of popular community events throughout the year. Many opportunities are available for all ages to participate as an exhibiting artist, volunteer or to learn new skills and discover your own creativity. The gallery is open to the public free of charge and can be rented for private functions.